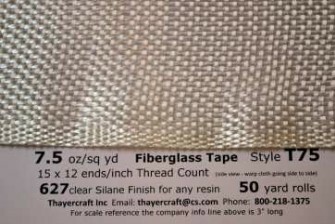 The T75 fiberglass tape is an 7.5 oz/sq yd plain weave fiberglass tape. Style T75 is available in 8" width and finished in the clear universal silane 627. All rolls are 50 yards each. You have your choice of 1, 2, 3, 4 or 5 rolls. 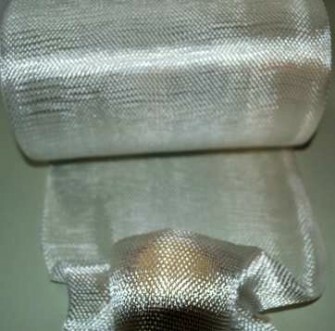 This is top quality U.S. made woven fiberglass tape. Prices are with Free shipping to the continental United States.